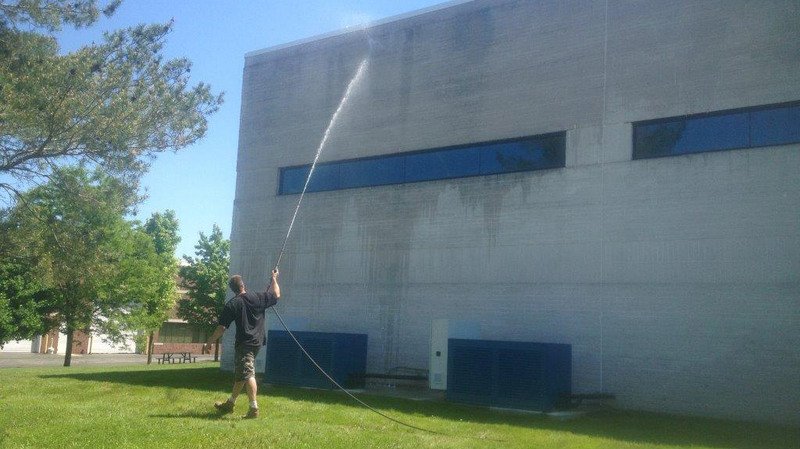 Power washing and maintaining your home or business not only reduces long-term repair costs it also restores the beauty and luster of your home or business. 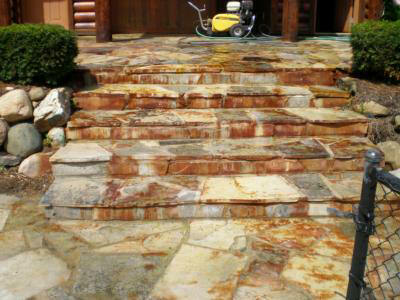 America’s Pros offers power washing services. Power washing your home, business, deck, gazebo, fence, garage, lattice, play structure, driveway, sidewalk, brick pavers or patio can beautify your home for a very small investment. 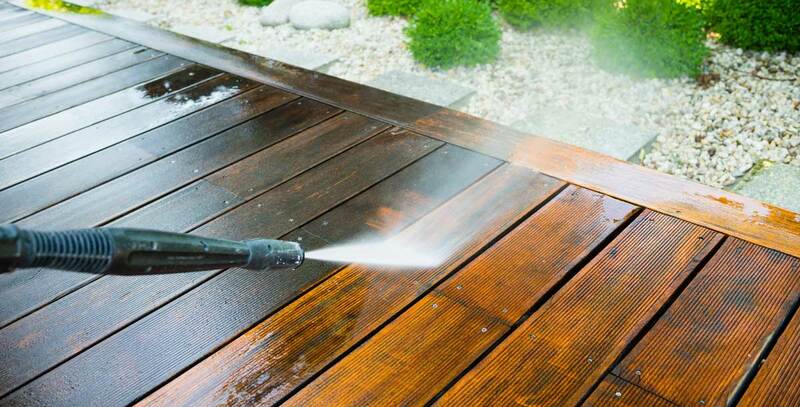 After power washing we can seal the deck, fence, or play structure, or apply a fresh coat of stain. I just wanted you to know how satisfied I was with the power washing, staining and sealing of my deck.The deck looks beautiful and you made it so easy and nice to do business with you. I would recommend you to my friends. I am writing this letter of recommendation for the service that we received from America's Pros, Inc. First of all, they are very friendly when answering the phone, and they are very prompt when making appointments. They arrive at the site at the scheduled appointment time. We had them power wash and stain our deck and it looks brand new. Many of my neighbors have commented on how good it looks. America's Pros Inc. also replaced a board and flashing on our house, and did some minor roof repair. Both my husband and I are very pleased with the work. 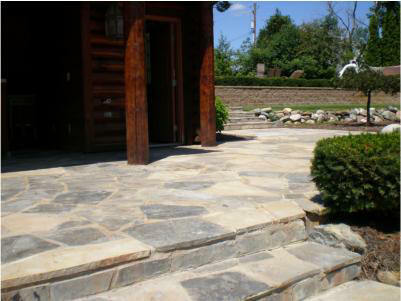 America's Pros' prices are reasonable, and the work is guaranteed. The company is insured and licensed. They also do a great clean up job after the work is completed. I highly recommend this company. Robert, after meeting with two of America's Pros representatives, Michael who gave me the costs to power wash and seal our wood deck, and then Scott who gave me the proposal to do the concrete work I needed to have done, which included replacing a portion of my driveway that had a lot of cracks, I reviewed both of the prices. After analyzing the proposals, I called Scott and discussed my budget for all of this work. Fortunately he was willing to help me meet my budget. The power washing and sealing of my deck was done very nicely and I liked the way that Michael took the time to protect my in-ground swimming pool! Your staff then started doing all of the concrete work, which included filling the expansion joints and replacing the broken and cracked squares in my driveway. Even though it took a little longer than expected to replace the broken sections of concrete, your staff kept in constant contact with me and when the job was done, it turned out great. So, I wanted to write you this letter to let you know that I appreciated the great work America's Pros did for me at my home and it would be my pleasure to recommend your services. As other needs come up around my home, America's Pros will be the company I call. Thank you for a job well done! First of all, as a businessman with high integrity, values and strong work ethics, I find it very important to give all my customers the very best service possible! So, when it comes to dealing with companies who have these same high standards for customer satisfaction, I find it to be very refreshing. Michael, that is why I am writing this letter to America's Pros, Inc. I truly do want to thank you for your professionalism, the timely matter and more importantly the perfectionist work you did, when your company power washed and stained our families deck, for our daughter's upcoming wedding. When we needed to have our deck power washed and stained, I contacted OPW, another company here in Rochester Hills, but it took them over two weeks to get back to me and have someone come to our home to give us an estimate. However when I contacted America's Pros, your company responded within 24 hours, and in a very professional manner as well. So not only was I given a very fair price, but the work was done in a timely manner, and more importantly the job you did for us exceeded both my wife's and my expectations. I would highly recommend your company for all of the services that you do. Thank you!